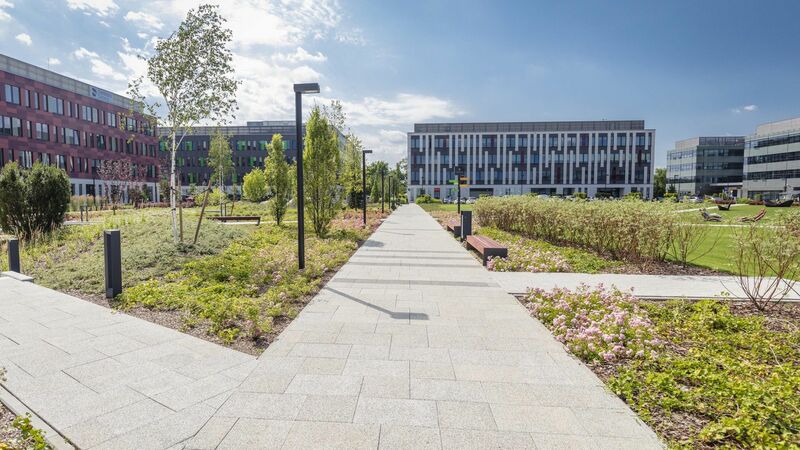 Poleczki Park, in other words the new capitals of business, is a modern office complex located at 35 Poleczki Street in Warsaw Ursynów district. Buildings within the complex are named after European capitals. Warsaw, Amsterdam, Vienna, Berlin, Lisbon and Madrid are six convenient, functional, high-quality office buildings. 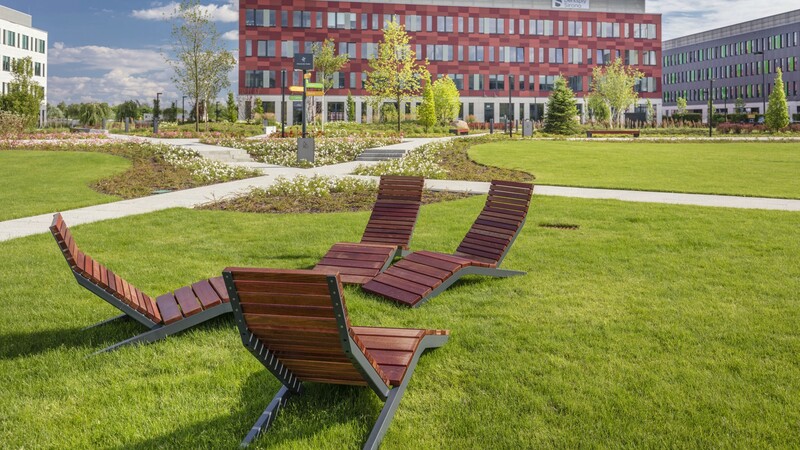 Green certificates prove that the Poleczki Park buildings are environmentally-friendly. 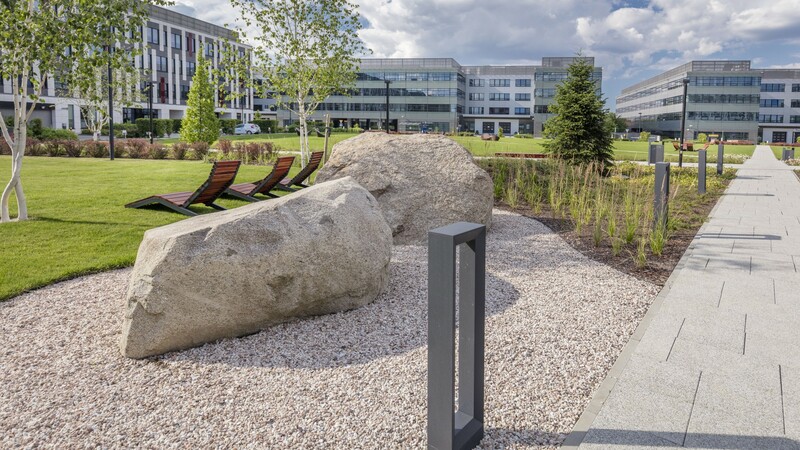 Especially arranged green areas with designer benches, loungers, a fountain and a terrace near the café are accessible to employees of Poleczki Park. On the premises of the complex one can use various amenities, such as: a shuttle bus, Veturilo bike station, a car wash, parcel lockers and a laundromat. Restaurants, cafes, a preschool, a post office, a hotel and almost three thousand parking spots are also available to tenants od Poleczki Park. Join us: UBM Polska Sp. z o.o.ul. Poleczki 35, 02-822 Warszawa+48 22 356 80 00Sign up for the newsletter! Join us:Sign up for the newsletter!